The start of freshman year can be both exciting and daunting. Despite what I’ve seen in movies, I had no idea what to expect my own experience to look like. Right away, I started to feel overwhelmed by all the information being thrown at me in orientation, classes, and club meetings. 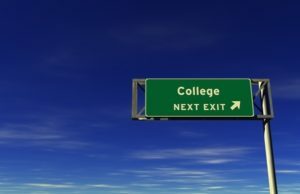 Looking back one year later, here are five things I wish I knew before starting college. I hope my tips will validate your feelings and provide strategies to help you make the most out of your freshman year. When I first arrived at college, everything was exciting and fun until classes started and stress began to replace the excitement. Everyone around seemed to be having a great time while I struggled to find my place in a completely new environment. During winter break, I spoke to my friends at home and found that everyone felt the same way (even the ones who seemed to be having a great time on social media). Eventually, all my friends at school admitted feeling this way too. When jumping into a new school away from your family and friends, stress and confusion are expected and normal, at least for a little while. I have wanted to be a doctor since I was in middle school, and I went into college with my heart set on studying on the pre-med track. After enough information sessions on the medical school application process to stress even the most determined person, I started to explore other career paths. I still want to work in health care and I may choose to apply to medical school, but I may decide to become a physician assistant or nurse practitioner instead. Most importantly, I am open to other options instead of limiting myself. You will hear this from every older student, administrator, and professor when you start school. Listen to them! You may feel ashamed that you do not understand something, but the only way to succeed when you are struggling is to reach out for assistance. Whether it be an academic or social concern, you may be surprised at how many people are willing to help you. While you are settling into new surroundings, try to identify the resources that are available to help you. Don’t let other people’s opinions prevent you from taking advantage of all your college has to offer. During orientation, I went to a random club’s information session for the sole purpose of getting a free cookie, and I ended up meeting one of my best friends and joining the club. I have been roped into seeing dance shows, acapella performances, and club fundraisers, and almost every time I was shocked by all the amazing things students are doing on campus. Try to find your school’s event calendar – you may just find a new interest or friend. Not to mention, most on-campus events have free food. You may think everyone around you is staying in the library until 4 AM, but you are not a bad student if you decide to get some sleep. Personally, I can barely function after a night of poor sleep, so I try to remind myself that I will not fail my classes if I decide to prioritize it. You will thank yourself when you are able to focus on that big exam. Starting college may be daunting, but the experience is just as scary and new to you as it is to all the other freshman around you. Do not let the fear of the unexpected stop you from taking advantage of all the new opportunities college has to offer. Take time for yourself, ask for help when you need it, and remember that you are not the only person adjusting to college life. Most importantly, as you ease into the new environment and make friends, things will get better.